He is barely 11. His pursuit of an “American dream” can come to a screeching halt and turn into a “Nepali dream.” He is singing “Stars spangled banner” today. He could be reciting “Sayun thunga ful ka hami” tomorrow. Thanks to the Trump administration, Deferred Action for Parents of Americans (DAPA), the executive order announced by Obama administration that came at the right moment and rescued his father once, is dead. Yes, he saved his father from deportation, removed the ankle monitor from his father’s ankle, by just getting born in America. His father, like last year, could spend more time going out with him in shorts this summer, because there is nothing to hide after all. He freed his father, from an open-air prison that America is normalizing, with his DAPA power. But, he no longer can use his DAPA power. It was rescinded last June. Anti-immigrant stance of Trump is working. Some immigrants are leaving for Canada fearing deportation. As if that was not enough damage, Trump administration ended Temporary Protected Status (TPS) this month that was benefiting 9000 Nepali citizens living in the states, including the father of the 11 years old boy, when the earthquake hit Nepal in 2015. After Nepal lost TPS, his father has been losing sleep, again. Everyone is “panicking,” the father reported, during our last chat. Panicking, because TPS was the only straw of hope, and was snapped, by the same forces that buried DAPA. His father is expected to leave the states by June 24 2019—the deadline set for all Nepali TPS holders by the Trump administration. Anyone who cannot secure other status is expected to leave or face deportation. That means, his family, like all the other TPS families, will undergo through that lingering fear— the possible visit from Immigration and Customs Enforcement (ICE) agents—at home, at work, or even courts again. My concern is solely on the mental toll the chain of TPS cancelation has inflicted on the TPS recipients and their families, especially children. They had no control over the decisions their parents made. There is no exact data around how many children will be impacted by this. The El Salvadoran TPS holders have 192, 700 America born kids as per the data released by Center for Migration Studies. With that figure, the estimated America born children of TPS holders combined could easily cross 400,000. The children who came to America with their parents are not even included in this count. The total number of children impacted could be as high as 500,000, or even more. This program designed to provide temporary relief to countries since its inception in 1990, has received the most criticism now. TPS is extended to foreign nationals living in the states who are not in a position to return to their home countries gripped by natural disaster or war, and the impacts of natural disaster and war are often long-lasting. The conditions barely change with a change in administration in Washington. TPS has never been this divisive. Salvadorans were able to extend their TPS since 2001, every other year, during Bush and Obama administrations, because it was seen from a humanitarian angle. The anti-immigrant stance of Trump, as analyzed by many immigrant advocates, has something to do with the decision of rescinding TPS of six countries—in a row. The remaining four countries—Syria, South Sudan, Somalia and Yemen—have “Do Not Travel” red alert for traveling American citizens at this juncture. It would be interesting to see if the citizens of these countries will lose TPS, with the red alert active, or will see the red alert disappear before TPS does. If the countries are not safe for traveling Americans, they are not likely to be safe for others, especially children. Safety and security of these returnees is just a part of the issue. The ability of these countries to absorb the returnees, including American kids, is another concern. What happens if a tiny country like El Salvador consisting six million people has to absorb 200,000 Salvadorans plus their 192 thousand plus American children at once? Where can all these people find place to live, or work, or find food to eat, if all of them are deported to El Salvador? Wouldn’t Haiti, which has around 12 million people, struggle the same way if forced to absorb 59, 000 Haitians at-once? Nepal at least is at a far better space politically and economically to absorb its 9000 citizens and their children, if it has to, at once. Anti-immigrant stance of Trump is partly working—some immigrants are leaving the states for Canada fearing the possible deportation. Thousands of Haitians—more than 9000—just in 2017 chose to cross the Canadian border illegally, to secure their chances of staying in Canada legally using a loophole on the US-Canada Safe Third Country Agreement. Canada is likely going to be hit by another wave of asylum seekers this year, regardless of its interest or capability. It is yet to see if Nepalis will choose the route to Canada. The state of constant mental turmoil families undergo is something that can’t be explained, but experienced. Many Nepali families are living a life of fear and their kids are exposed to parents’ anxiety and fear very young. They could be packing their bags to go to their parents’ country, for the first time, holding their American passports in their hands. The administration has failed to exhibit soft corner for children, even for American kids of TPS families. It would not have rescinded DAPA otherwise. Like all those Parents of Citizens, 400,000 plus TPS holders became “legal” with a snap of a finger, and again were pushed back to “possible deportation” with another snap. Their lives changed with the government. It, in a way, underscores the bizarre interpretation of American laws and executive orders, pertaining to immigration. At times, it can be interpreted so humanely that all foreigners impacted by natural disasters or other upheavals get to stay and also receive temporary working visas for up to a decade or more. But, it can also, all of a sudden, be flipped to the other extreme to pull the plug off the TPS countries, one by one, impacting vulnerable demographics and their thousands of America born children. The current administration is punishing its own children, by forcing their parents to leave America voluntarily or face deportation. 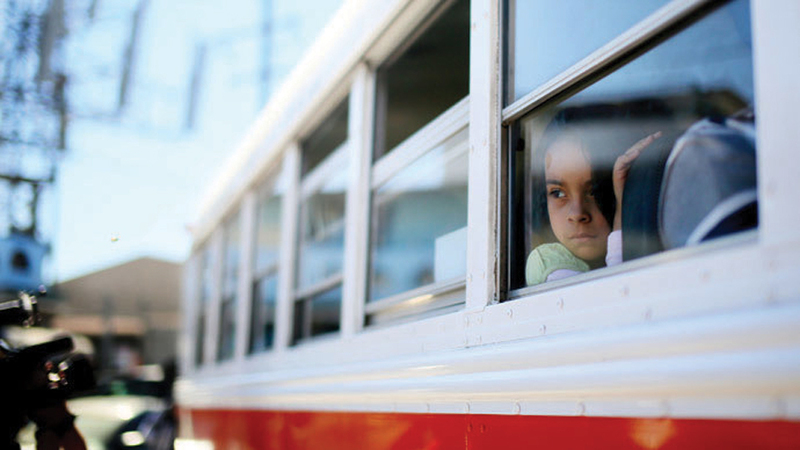 Several studies have concluded that kids’ mental health deteriorates with deportation or detention of their parents. Depression and anxiety is common among kids who experience separation with their parents. American Psychological Association (APA) states: “Parents’ legal vulnerability, detention and deportation are strongly associated with depression, anxiety, fears of separation, social isolation, self-stigma, aggression, withdrawal and negative academic consequences among children.” The emotional toll on the kids whose only fault was to be born in a family, which failed to secure the magic papers, would be life-long. American Civil Liberty Union (ACLU) sums the fear and anxiety experienced by immigrant, especially undocumented, in one tweet. “As if their ongoing animosity toward immigrant communities weren’t bad enough, this administration’s disregard for the emotional and developmental trauma it is inflicting on hundreds of young children speaks volumes.” This tweet was in response to the recent decision made by the Trump administration to separate children from their parents crossing the border illegally. The policy of separating children with their parents is defended by White House as a “tough deterrent,” to stop border crossing. The children rights activists are questioning the legitimacy of these extreme measures and equating it to the separation of Native American kids from their parents and stripping them off from the love and care they deserve. As someone who has worked with unaccompanied minors traumatized by the killing of their family members and fleeing gang violence, I am convinced that the fear of losing children to gang violence is much worse than the fear of losing children to one of the “greatest democracy,” which for some reason can’t stop preaching the world on child rights but often ends up doing just the opposite. The uncertain future of estimated 400,000 American kids of TPS holders is a stark reminder. Even after dumping of DAPA, DACA and TPS for most countries, thousands of people are crossing the southern border, risking their lives. That only validates the narratives on the poverty and gang violence in South America. The administration can use all the tax money these TPS holders actually have paid into the system, and deport them all, but is that going to deter all of them from re-entering? History is a proof that human beings for centuries have always moved away from war and violence. No national boundaries have stopped the movement of people fleeing war and persecution fully. This anti-immigrant bluster is serving no one but the divisive forces in the country. The economic cost of losing an income is another issue that kids face, when one of their parents is deported or detained. The previous government had come up with DAPA to shield its own citizens from emotional injury and economic hardship incurred by the separation. For this administration, emotional health of these kids does not seem to matter at all. Like all TPS holders, Nepalis, especially with children are at a vulnerable space. To reduce this vulnerability, parents often chose someone they trust as their Power of Attorney to act for the best interest of their kids on their behalf, in case they get detained or deported. It is a temporary fix, but is worth considering, especially for those who don’t see any other option of leaving the states.